This totalitarian drift violates the conditions to benefit from EBA, and obliged the European Union to punish the Phnom Penh regime by suspending it. But the suspension will only be effective after a delay of 12 months, giving Hun Sen time — supposing that he has the political will — to return to the path of democracy. Beyond applying pressure for the respect of democratic principles and human rights, this threatened European sanction could kill two birds with one stone by also triggering healthy economic reforms through better governance. 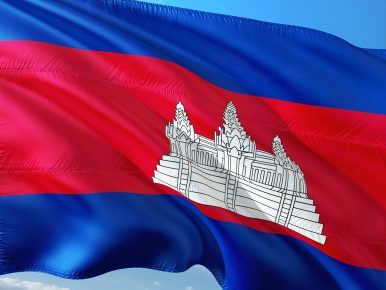 Cambodia is, according to Transparency International, one of the most corrupt countries in the world and, according to the World Bank, one of the poorest. The correlation between corrupt governance and poverty no longer needs to be demonstrated; the former leads directly to the latter. Why the US Must Forgive Cambodia's War DebtJanuary 7 in Cambodia: One Date, Two NarrativesHun Sen's Monument to HimselfAnti-Chinese Sentiment on the Rise in CambodiaWhat’s Behind the Release of Cambodia’s Opposition Leader?